Lemons are so handy and they pack a big cleaning punch! 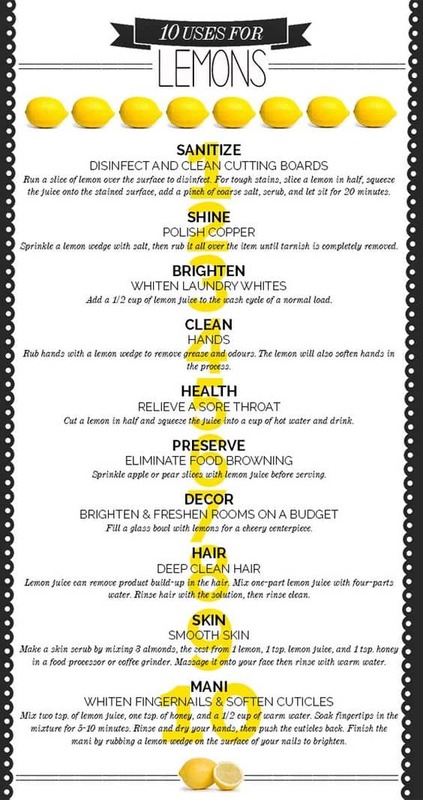 We’ve put together Lemon Juice Cleaning Recipes that you are absolutely going to love and they really work! You can grow them in your own garden, and then use them to bring your sinks, countertops, shower heads and taps back to their glistening best. 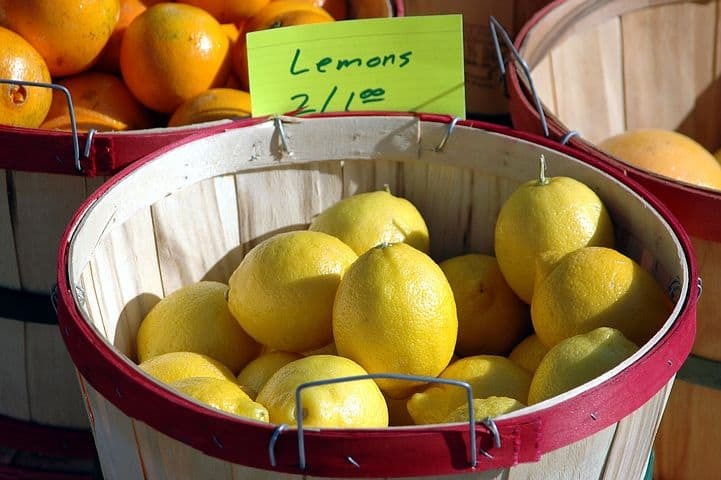 You won’t believe just how many ways you can use lemons to clean your household. As you can see from the Infographic above, there are many ways you can utilise Lemons around the home. You can whiten fingernails and soften cuticles, polish your copper and one of our personal favorites is that you can sanitize your chopping boards. This tip shows the antiseptic properties that Lemons possess. 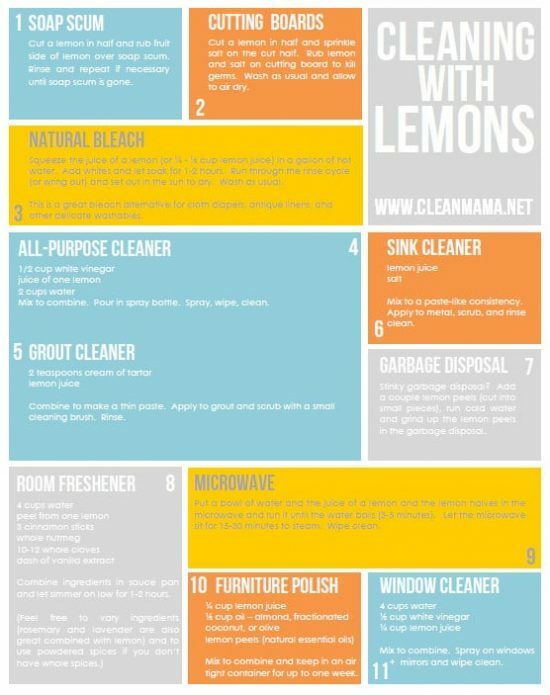 Becky from Clean Mama has outlined 11 everyday ways that you can incorporate Lemons in your cleaning regime. 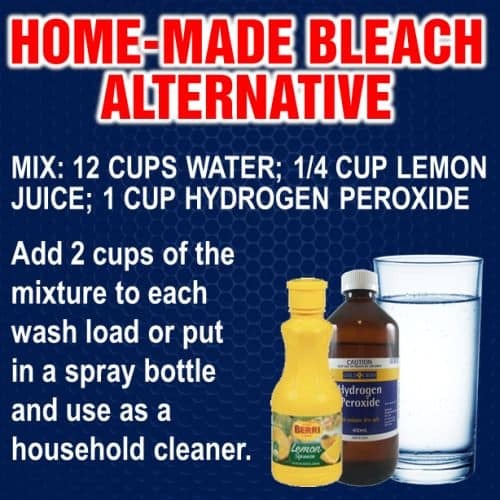 It’s a natural bleach which makes it perfect for cleaning your grout. As a natural sanitizer, it’s perfect for wiping down your surfaces and ensuring no nasty residue remains. 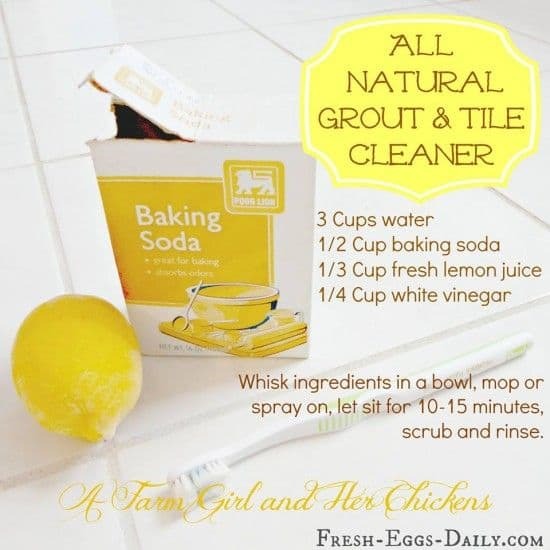 Over on Fresh Eggs Daily, Lisa has created her own All Natural Grout and Tile Cleaner that uses 1/3 cup of Lemon Juice, 1/2 cup of Baking Soda and 1/4 cup of White Vinegar. It works a treat and all you do is whisk it together and then let it sit for 15 minutes before you rinse or scrub off. BrightNest highlights that “the average home contains up to 25 gallons of toxic chemicals, many of which are in store bought cleaners.” By using a natural ingredient when cleaning your house, you are personally contributing to a more environmentally friendly world. Do you have grubby marks and fingerprints all over your windows and mirrors? 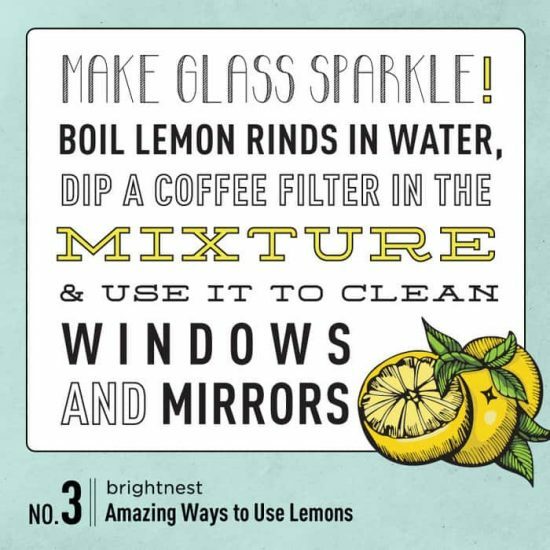 You can boil lemon rinds in water and then dip a coffee filter in the mixture and clean your mirrors. 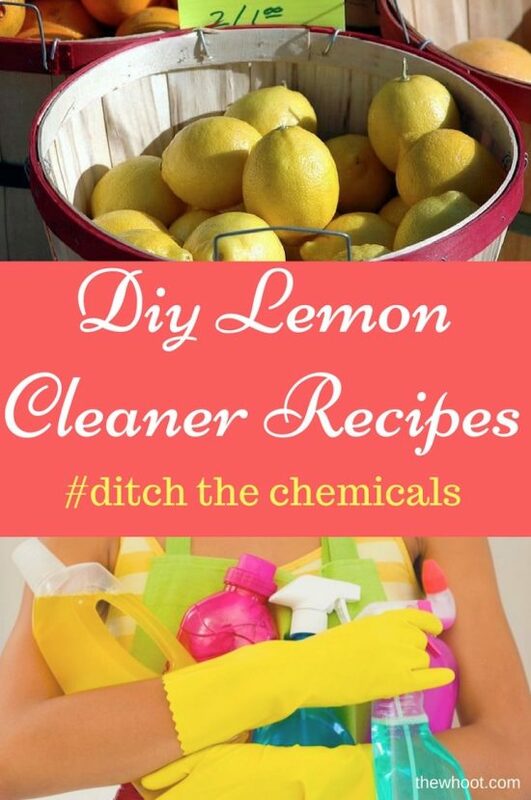 There so just so many handy ways to use lemon for cleaning around your home. You can use lemons to sanitize your garbage disposal. Try pouring a gallon of hot water mixed with 1/2 cup of lemon juice down the drain. You can also add 1/2 cup of lemon juice to your washing machine to brighten up whites. As you can see from our post, the uses for Lemons are endless. You can even use them to soften your cuticles and whiten your fingernails! Did you know that you can also stop fruit from browning by sprinkling a few drops over apple and pear slices? This is great for kids snacks and platters! You can also polish up your tarnished copper items.